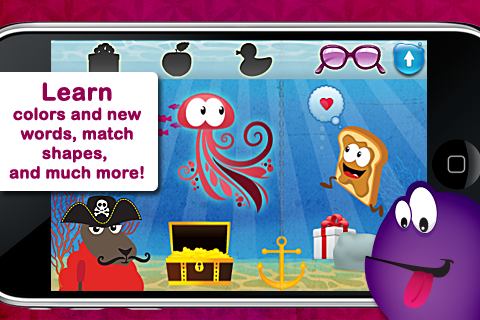 Explore the island of Baa Baa, where you can row-row your boat, see Baa Baa and his friends, explore 3 underwater worlds, all while looking for matching puzzle pieces hidden throughout the island! Find objects in the different scenes (e.g., apple). 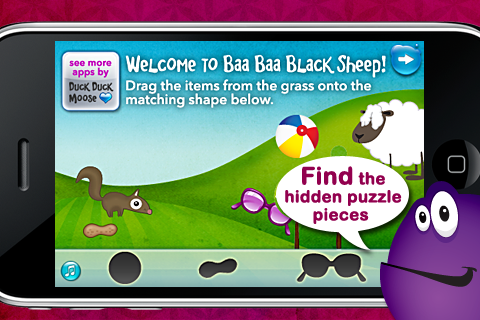 Match the objects to the shape in the puzzle. Touch the missing puzzle pieces to see and hear the word. 24 words included. Load sheep into the boat. Row the boat across the water. 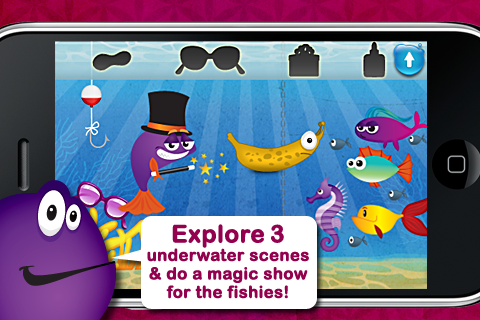 Explore 3 different underwater scenes with a scuba diver, magician fish, pirate, and peanut butter and jellyfish. 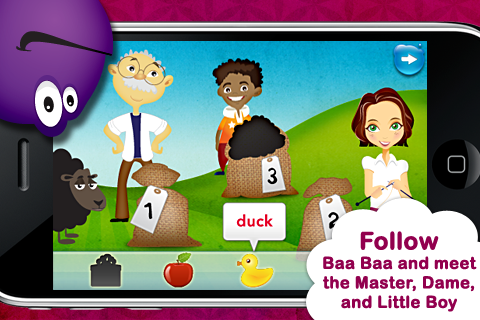 Follow Baa Baa Black Sheep to meet the Master, Dame, and Little Boy down the lane. 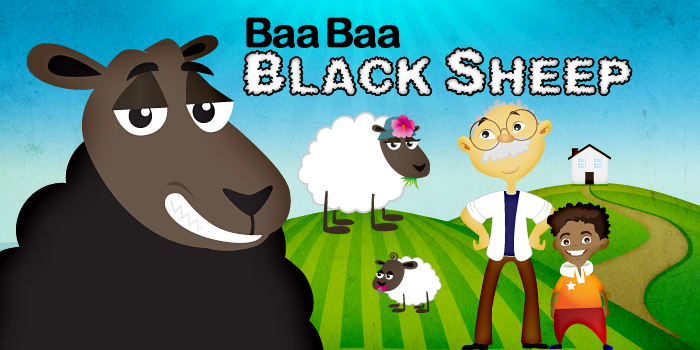 Learn colors by hearing variations on Baa Baa Black Sheep with Red Sheep, Orange Sheep, etc. TIP FOR PARENTS: There are three ways to navigate from scene to scene.